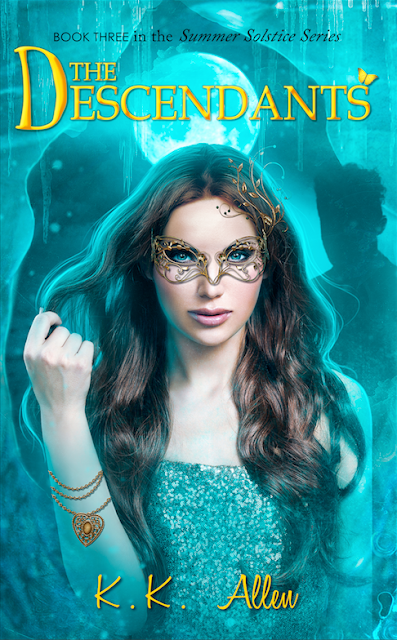 Winter in Apollo Beach is anything but a wonderland for Kat and her friends as their Enchanted community comes face to face with Erebus and his latest act of evil that strikes close to the heart. There's no turning back. Erebus has his sights set on Kat and using her to access the mysterious energy source. Kat will do anything to keep her friends and family safe . . . even if it means surrendering herself to the God of Darkness. Meanwhile, Kat is finally picking up the pieces of her broken heart and moving on until all goes awry at the Arctic Winter Masquerade Ball. Everything she's worked for is shattered when she lands in the arms of someone who will divert her path . . . and heart . . . once again. I have loved this series thus far. The author had me hooked with the first book, and I will freely admit that I love the ups and downs that I have felt. Each cover has been unbelievable and I would be lying if I said I didn't have cover love going on. This Indie author found her way quickly to my favs list and I swear I would read anything she published. If you haven't read the first two you need to before this beauty goes out!!! What are you waiting on this week? We would love to hear it! Make sure you link up your post as well so we can stop by.